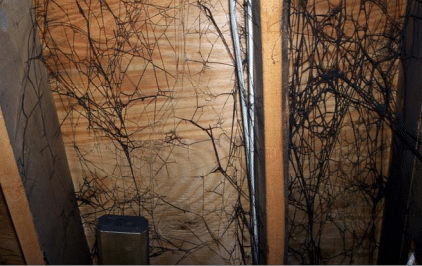 Dealing with fire damage can be one of the most traumatic events that a property owner will face. 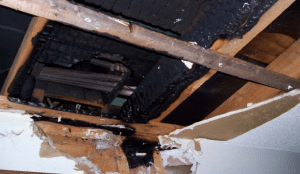 When a fire breaks out, regardless of size, it can cause significant damage to your property. 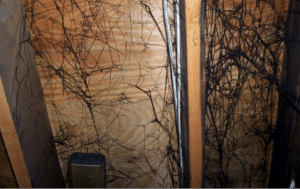 The damages your property will face are not limited to fire damage. There will also be water damage from extinguishing the fire, along with smoke and soot damage. 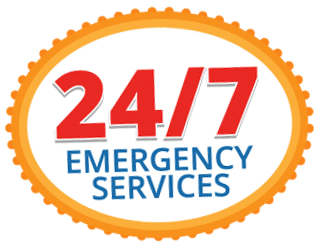 It is highly recommended that you hire a professional fire and smoke damage cleanup professional immediately after the fire is extinguished and your local fire department has issued an okay to return to the property. The professionals at All Brite Cleaning & Restoration can take care of all aspects of fire damage cleanup to ensure that your property is completely restored. Act Quickly to Prevent More Damage! You may think that when the fire is out that the damage has already been done. Unfortunately, the damage continues. Most furniture and flooring is made out of synthetic material, and when burned, synthetics create a complex variety of chemical reactions. All Brite Cleaning & Restoration have fast response times that will help reduce damages and save you extra expenses on the total cleanup of your home. Call All Brite Cleaning & Restoration Today! If your property has been damaged by fire or smoke, All Brite Cleaning & Restoration is here to help get your property and belongings back to their pre-loss condition. All Brite Cleaning & Restoration has the knowledge and recourses to quickly and efficiently restore fire and smoke damaged buildings. We work closely with our clients from start to finish.